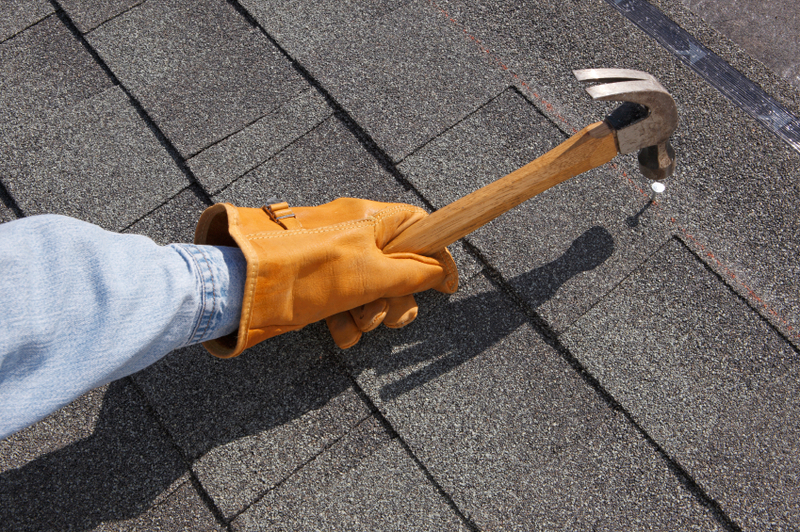 Things are looking up for homeowners who want to stay on top of roof repairs. Following a few expert tips for ongoing roof maintenance and repair can help you prevent mold intrusion due to water leakage and avoid extensive roof repairs. Take a look at the flashings for areas that have suffered damage or have become warped. To repair flashing leaks, apply plastic roof cement between the adjoining materials and secure in place. If you are making the repair under wet or colder conditions, use a high-quality product such as Henry 208 Wet Patch Roof Cement to ensure the repairs are permanent. This roof repair cement can be applied if the roof is wet or even if it is raining. Purchase and keep a canister of roof repair cement on hand and make minor roof repairs immediately when it is safe to reach the damaged area. High-quality roof repair cement is inexpensive, easy to use and ideal to use for most minor roof damage. Henry 209 Elastomeric Roof Patch Cement is a better choice when making general roof repairs in dry or sunny weather. For repairs to gutters and downspouts, be sure that both are kept free of debris. Wind gusts exceeding 40 mph can cause minor roof damage, including loss of shingles and holes from flying debris, and drive moisture into cracks around chimneys and skylight flashings. Homeowners should make repairs using a high-quality roof cement, such as Henry 208 Wet Patch Roof Cement, which can be found at hardware stores and home centers.